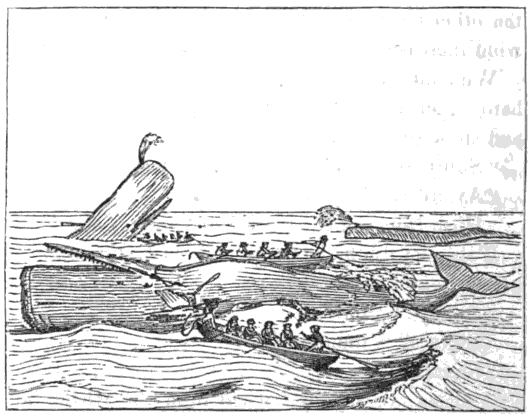 Illustration from Etchings of a Whaling Cruise, 1823. 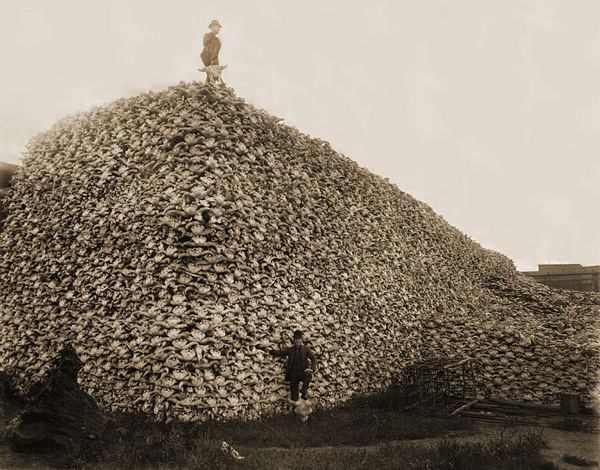 Bison skulls waiting to be ground up for fertilizer, circa 1870. A few days ago, a front-page story in the New York Times celebrated the shipwreck of Two Brothers. To be specific, the story heralded the first-ever discovery of a Nantucket whaling ship named Two Brothers in waters northeast of Hawaii. As the Times helpfully defines it, a Nantucket whaler is "one of an armada of ships that set sail during the early 19th century when the small Massachusetts island was an international capital of whaling." But no, those weren't the details that disturbed me. The Two Brothers—which was bound for the newly opened Japan Grounds after whalers had fished out the Atlantic and parts of the South Pacific—was long known to have sunk on the night of Feb. 11, 1823, off the French Frigate Shoals. Did you catch it? It's nothing but a brief aside, a phrase tossed off with such nonchalance that the reporter doesn't appear to find it shocking, obscene, or tragic—even though it is all of these things. Let's look again. What the article says is that, by 1823, the Atlantic Ocean and parts of the South Pacific (we're talking about the two largest oceans on the planet, people) had been "fished out." Fished. Out. Which is why whalers like Captain Pollard, whalers from Massachusetts, had to travel all the way to the North Pacific to do their hunting. And remember, this was almost 100 years before the completion of the Panama Canal, so getting from the North Atlantic to the North Pacific was, to put it mildly, no easy feat. And so the newspaper of record offers its bit of explanation: fished out. Such an innocuous phrase for the extinction, or near extinction, of an entire order of mammals. And, somehow, it had already occurred by the beginning of the 19th century—long before the invention of "modern whaling," with its colossal ships and explosive-propelled harpoon guns. 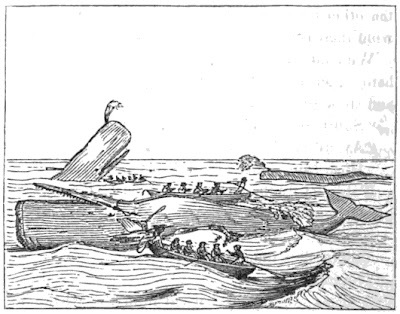 No, the killing that nearly wiped out the whales was done by men in small wooden boats throwing handheld spears. And yet, as low-tech as they were, these men still managed to "fish out" immense portions of the Earth's seas. If it weren't a fact, it would sound impossible. Or perhaps I should say that it does sound impossible, even though it is a fact. But to imagine that a few humans in wooden, wind-powered vessels could have such an impact on whales—powerful swimmers of great endurance who have entire oceans at their disposal—is mind-boggling. The sheer amount of damage our species can do (and has done) to other humans, to other species, to the lands, waters, and skies of our one, dear planet, I find incomprehensible. But maybe the problem is that there's something in us that allows us not to fully comprehend, that allows us to speak of enormous events without registering their enormity.